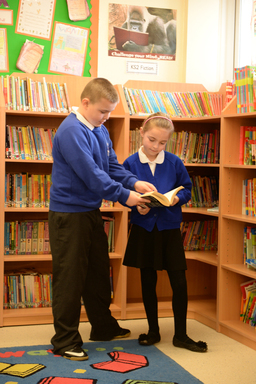 Our school uniform looks smart, helps protect best clothes and gives the children a sense of belonging. It can be ordered from the school office or alternatively online. Our school uniform consists of: a royal blue sweatshirt or cardigan; a plain white polo shirt; a grey or black skirt; pinafore or trousers; a royal blue and white summer dress; black shoes or trainers. All children wear a PE kit consisting of: navy blue or black shorts or tracksuit bottoms, a blue tee shirt and trainers; the PE kit is stored at school in a bag which is provided free of charge by the school. To order from the school office please complete the order form below and return to the school office with payment.